Start with our New Client Introductory Special, 2 Private Sessions for $110.00 which provides a wonderful introduction to concepts, exercises and equipment. Note that not all teachers accept this special. The teachers offer privates and semi privates and teach their own group classes in Pilates Mat and Equipment! These classes and private sessions are available 7 days a week! Plenty of parking on the street and behind the building! Come to see us in our beautiful new studio at 1501 El Camino Real Suite I in Belmont…great teaching, great atmosphere and ample parking! Purely Pilates offers the best in classical Pilates exercise, adhering closely to the spirit of Joseph Pilates’ work, in a spacious and welcoming studio. The certified instructors who work at the studio have a minimum of 600 hours of teacher training and are able to work safely with you and to offer you the best core training available. We also offer GYROTONIC EXPANSION SYSTEM® Exercise on the Cobra Tower and other pieces of equipment. This exercise system works wonderfully alone or as an addition to your Pilates regimen. See more at the GYROTONIC® Tab on this website! 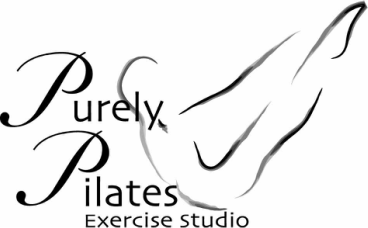 ​If you are recovering from an injury, looking to cross train, or perhaps you simply want to become or stay fit, no matter what age, gender, or body type, then the Purely Pilates total body-conditioning program will reward your efforts with the improved level of fitness and self confidence you are looking for.